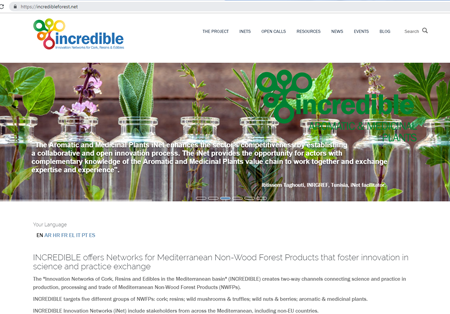 The Communications Strategy of INCREDIBLE project includes (among other actions) the creation of a website as a central tool for dissemination of the project, and a central platform for the communication of its activities and results to the thirteen project partners, stakeholders and general public interested in non-wood forest products (NWFP). The iNet coordinators have organised a scoping seminar for each iNet, gathering key stakeholders and researchers in order to better understand the functioning of the different value chains and their main knowledge needs, gaps and divides. These seminars were a great opportunity for stakeholders to propose new ideas, activities and opportunities which will contribute to the iNet development. Their outcomes are summaries in an innovation roadmap, that will help shape the future activities of INCREDIBLE. 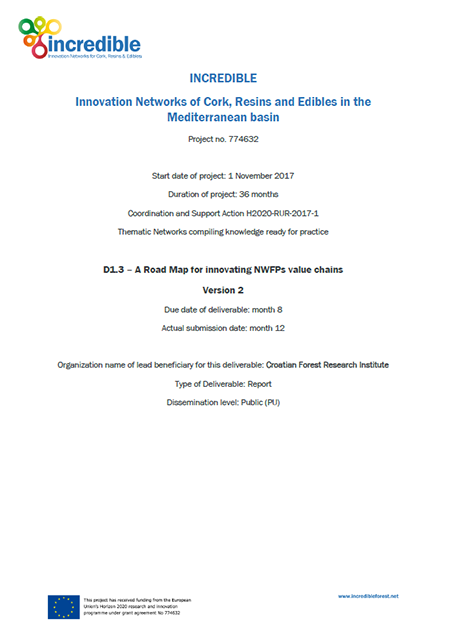 This Deliverable D1.3, entitled “A Road Map for innovating NWFPs value chains” is, then, a synthesis report the outcomes of the five scoping seminars. This report is designed as basic guideline for further work and development of iNets. 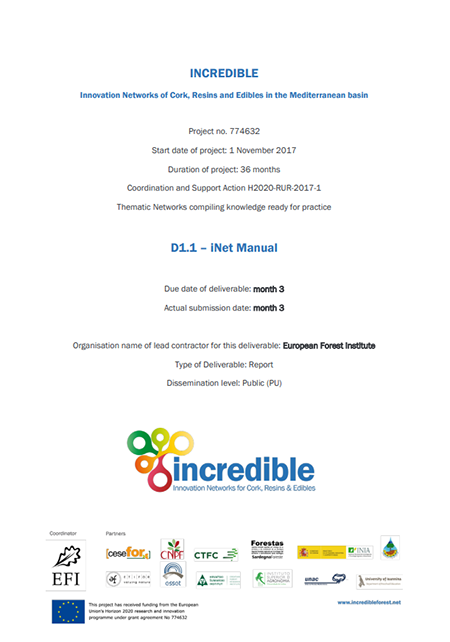 This manual (Deliverable 1.1) sets out the process and procedures for the establishment and the operation of the iNets and will therefore act as a guiding manual for all actors involved in the life of the iNets. In order to ensure a successful establishment of these iNets, it's important to define their structure, composition and scope, in order to address NWFPs stakeholders' expectations. The following manual deals with this matter, investigating the rationale behind the What, Where, When, Who and How of iNets.